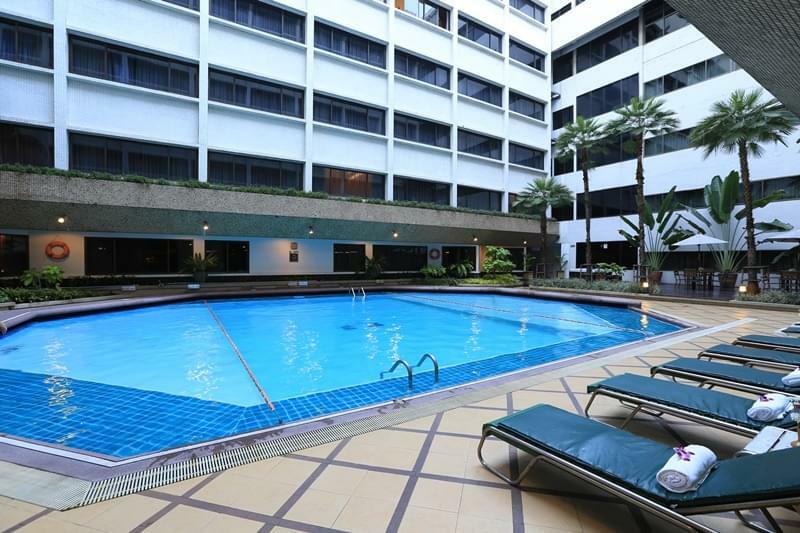 The Asia Hotel Bangkok : is centrally located for easy access to all the business, shopping and popular attractions of Bangkok, Thailand’s exciting capital city. 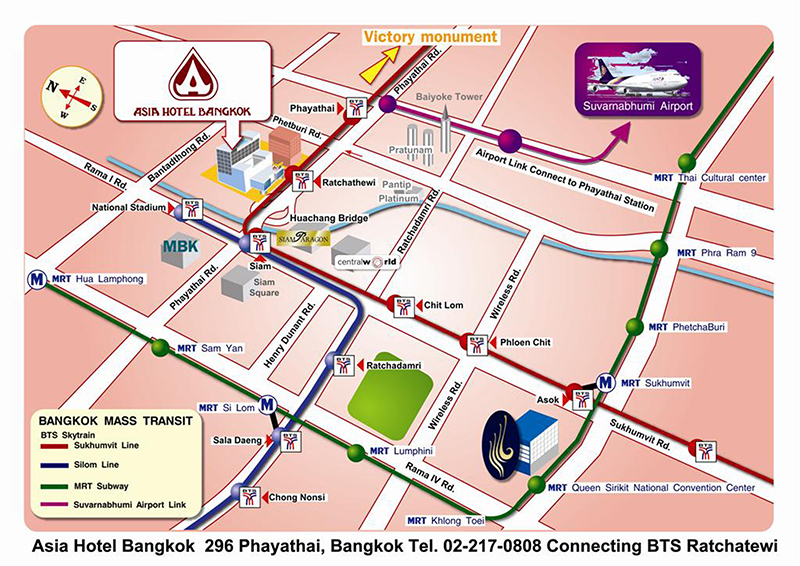 The hotel is 32 kilometers from Suvarnabhumi International Airport. 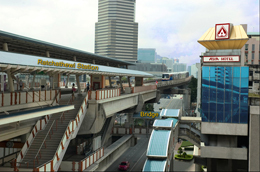 Ideally situated in Bangkok’s colorful shopping, business and entertainment center. 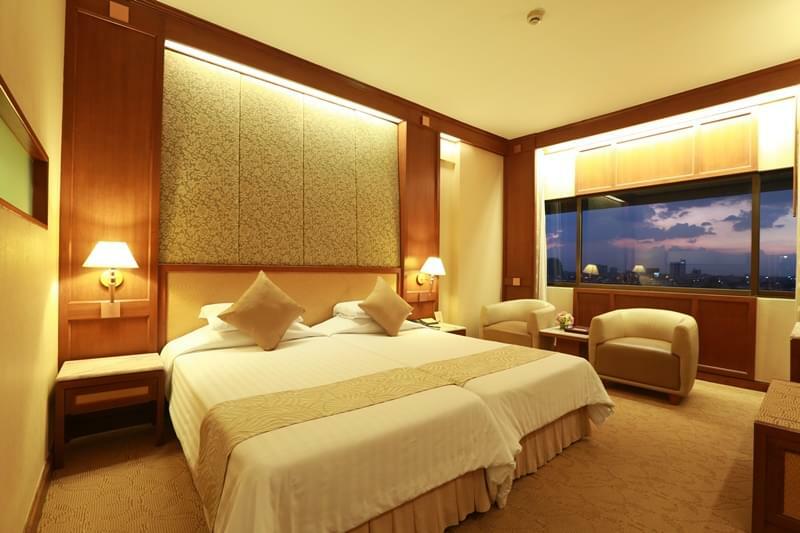 The Asia Hotel Bangkok has long been popular with both business travelers and tourists. It offers excellent comfort, service and dining all at the best value in town. Its amenities, to make your stay enjoyable, include two large swimming pools, sauna and health club. The hotel also offers a choice of four restaurants ranging from local delights and snacks to exquisite gourmet Chinese, Brazilian and Vietnamese cuisine and enjoying the spectacular performances of playhouse theatre cabaret. Free parking is provided for clients. Hotel Facilities : The 600 well-appointed and tastefully decorated rooms and suites are all luxuriously furnished and equipped to international standards. All have private marble bathroom, direct dial telephone, individually controlled air conditioner, television, refrigerator, and luxurious furnishings.